GREENWICH, Conn. , Oct. 18 /PRNewswire-FirstCall/ - Starwood Property Trust (NYSE: STWD) (the "Company") today announced that the Company will release its third quarter 2010 financial results on Tuesday, November 9, 2010 after the close of trading on the New York Stock Exchange. A conference call will be held on Wednesday, November 10, 2010 at 10:00 a.m. Eastern time . During the conference call, the Company's officers will review third quarter performance, discuss recent events, and conduct a question-and-answer period. To Participate in the Telephone Conference Call: Dial in at least five minutes prior to start time. Domestic: 877-407-0784 International: 201-689-8560 Conference ID: 358460 Conference Call Playback: Domestic: 877-870-5176 International: 858-384-5517 Passcode: 358460 The playback can be accessed through November 24, 2010.  Starwood Capital Group names Boyd Fellows as President of SPT Management, LLC, the Manager of Starwood Property Trust, Inc.